Item: LP 192.6 - Along the waterfront Gibson's Landing B.C. Item: SGN 1051 - Among the Seven Sisters. Big trees, Stanley Pk., Vancouver, B.C. Item: Out P676.1 - Among the Shops Steveston, B.C. Item: Misc P2 - An Afternoon Catch on the Fly in Paul Lake near Kamloops, B.C. Average 3 lbs. Item: Be P144.1 - An August day at English Bay. Vancouver B.C. Item: Be P144.2 - An August day at English Bay. Vancouver B.C. 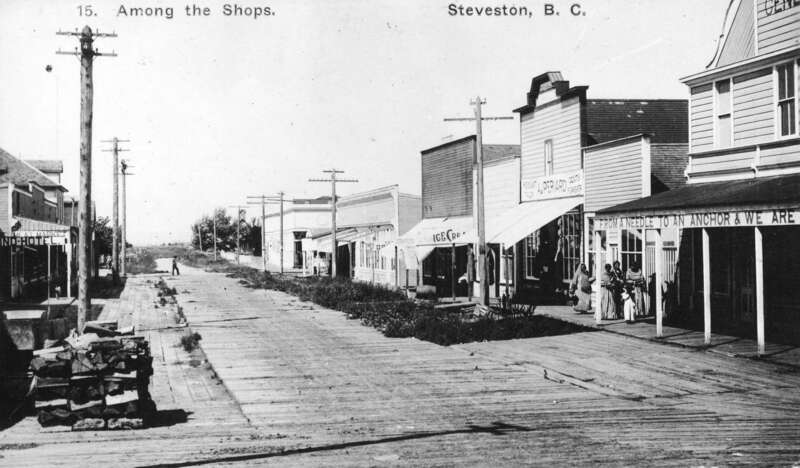 Item : Out P676.1 - Among the Shops Steveston, B.C. Among the Shops Steveston, B.C.